I am a huge fan of David Wong, ever since his first novel John Dies at the End came out a couple of years ago (and I cannot stress it enough, that this is seriously an epic read! 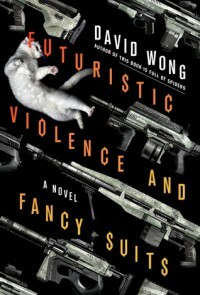 ), so there was no question of whether to read Futuristic Violence and Fancy Suits or not. It is a super entertaining, interesting and funny book, I think Wong has a pretty good style and the book definitely has its moments. But, here come the downsides.. Every time, I pick up a David Wong book, my expectations are pretty high. 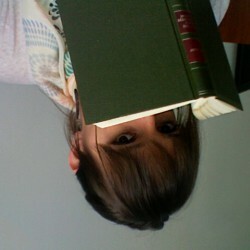 Like realy, realy high (because I always compare it to his awesome debut novel). Now, Futuristic Violence and Fancy Suits starts out pretty much the way I hoped it would, but then just kind of runs flat for most of the time. It felt like the plot was constantly building up to something and although I was patiently waiting for the grand finale, it just never really came. There were some moments throughout the book, especially near the beginning and the ending though, where Wongs (unique) writing style popped up out of nowhere and suddenly the whole story came to life and it just felt like "wow, this is the moment I have been waiting for in this book! ", but then again, it just awkwardly ebbed away.. I really don't know why this book didn't work so well (at least for me), my theory would be that he might have written some parts of it as an early draft (those would be the super awesome parts described above) and then just used the other 400 pages to connect those pieces and tie up the loose ends. I don't know. It was still good, but out of his novels, not my favorite.